I have been so BUSY with the new house that I haven't blogged in forever but I have so much to say ... Hopefully the exterior of the house will be done in the next 2 weeks and I can have my house to myself . Literally since we closed on the house on the 22 of August last year there have been people in and out. I have so much to share and look forward to doing it real soon. Since moving in to Chateau Rebecca 7 months ago we have been remodeling. First we did the kitchen and now we are doing the girls bathroom so my second home has been Lowes & Home Depot which I go to everyday if not twice plus every tile store within a 50 mile radius and HomeGoods. I like to call them my own personal trainer. Have you ever walked every isle in these stores ? 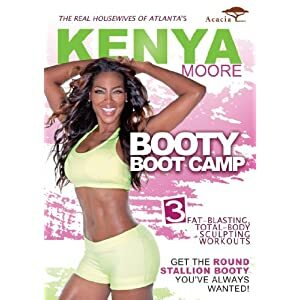 No kidding you will bust a sweat in no time not to mention the lifting you have to do. In the last week that we have been doing the girls bathroom I have bought 8 different 30 inch vanities plus 31 inch granite tops. 8 you ask, well my youngest doesn't want a double vanity she wants her own and finding the right one has NOT been the easiest thing. The first set we got looked perfect at the store but after a day I wasn't feeling it. The same goes for the next 3 sets. Finally the fourth pair were the ONES but they only had 1 in stock I still got it. I will be picking up the other 1 next week. Did I mention these stores helped me load them in my truck but once I got home I had to unload them bring them in the house then repack them and load them back in the truck. I have carried enough tile, baseboards, chair rails and crown molding than any normal person should. Don't take this as complaining because this has been my only real exercise lately and not a day has gone by where I haven't reached at least 15,000 steps in a day and my arms have a little definition in them. Do you have any unconventional exercises that you do or would love to try ? 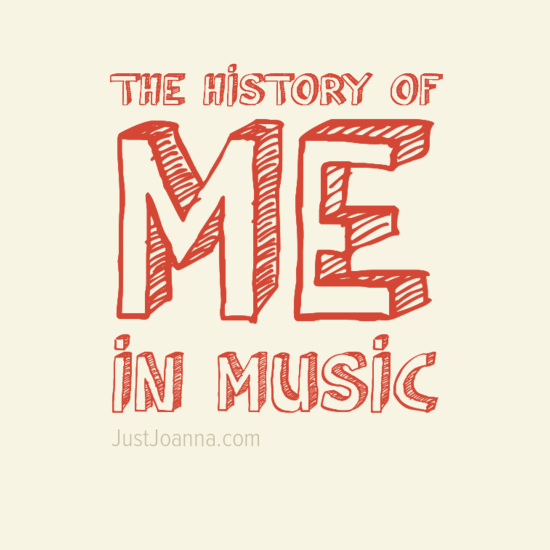 So the other day the brilliant Joanna from JustJoanna.com asked me if I wanted to do a post about MUSIC and me. I thought it was going to be easy since I love music and not a day goes by that I am not singing at the top of my lungs ( off key ) but that isn't the point. Music has been a big part of my life from the time I was a baby. When I was little I would watch my mom getting ready to go out and dancing in the house to music. I had the coolest little record player that you could take everywhere with you. I would go to the record store and loved flipping through all the records and finding that special one I had to have. Buying blank tapes by the dozens and recording music off the radio then pausing rewinding and listening to songs over & over until I got the words right. I even went fancy & got a system that I used to scratch records because I thought I was a DJ. Music tells a story about what is going on at that time in history or in a persons life. Well at least good music. Music has mended my heart, told me I was a survivor, made me drop it likes it hot, let me know that everything was going to be all right. Trying to come up with a handful of songs is impossible because that is like choosing one kid over the other. But that said I was able to pick some songs that tell you a little about what goes on in my head. Now remember I was born in the 70's, grew up in the 80's, was raised by MTV who changed the music game got attacked by the Boy Bands and lived through Gangsta Rap to talk about it. I love all types of music Hip Hop, Rap, Pop, R & B, Country, Blues, Rock, Heavy Metal you name it I love it. Bet you can't name just 1 song about your life and what songs remind you of all your awesomeness ? When we moved into Chateau Rebecca the first thing we noticed was the upstairs bathroom was a big useless space not to mention ugly. It has a pink whirlpool tub that can sit 10 football players that sits dead center. 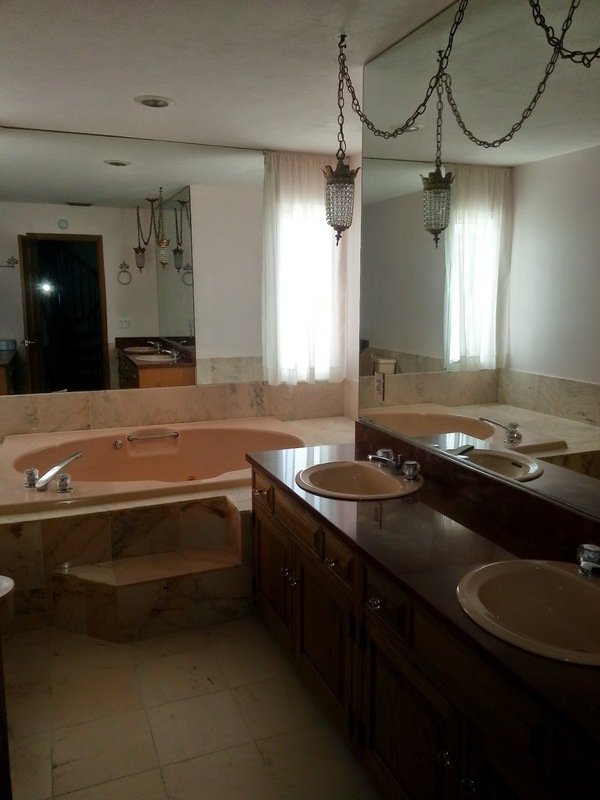 Also it has double pink sinks and toilet to match with wall to wall mirrors. This bathroom is in the hall upstairs and is to be used by my 2 daughters. I want a bathroom design that is both practical and pretty but also won't break my wallet. My daughters aren't the bathtub type of girls they are 13 and 10 now and just want a large shower but Mommy knows best and one day they will love it. 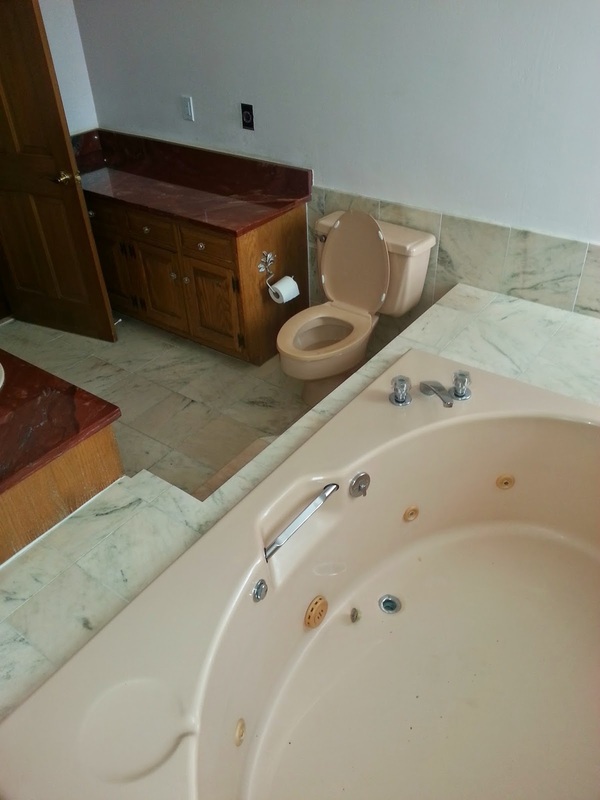 This weekend we are going to pick out the tub, sinks, vanities, toilet, tile and hardware for the new bathroom. The design I have in my mind is a bathtub that leads to a large glassed in shower that has a seat built-in. 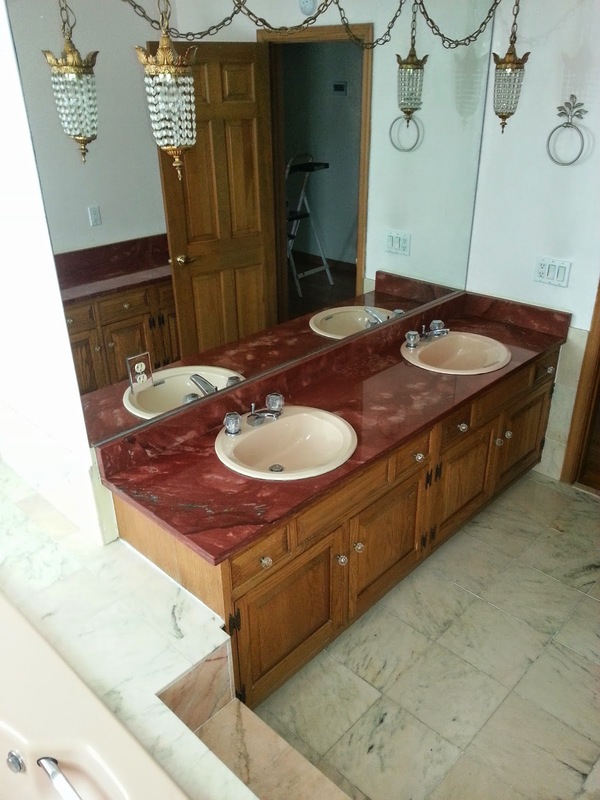 Most likely separate vanities and mirrors or one large vanity with double sinks. I'm still not sure if I want the shower to have the same tile as the floor, I will decide that once I get to the store and see the selection. 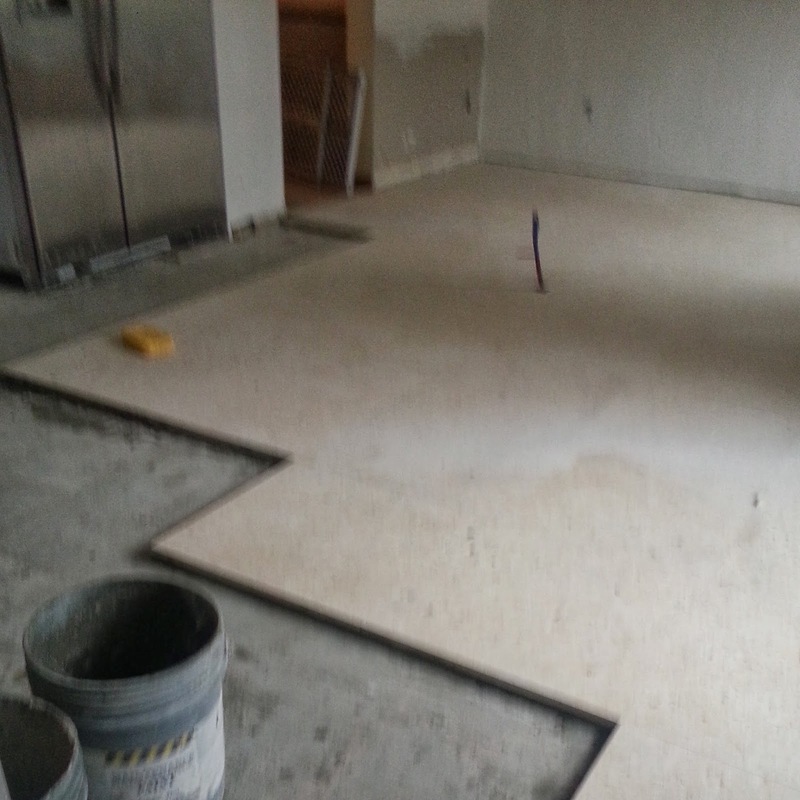 Hopefully next week our contractor can start the work and told us it will most likely take 3 weeks to finish work case. 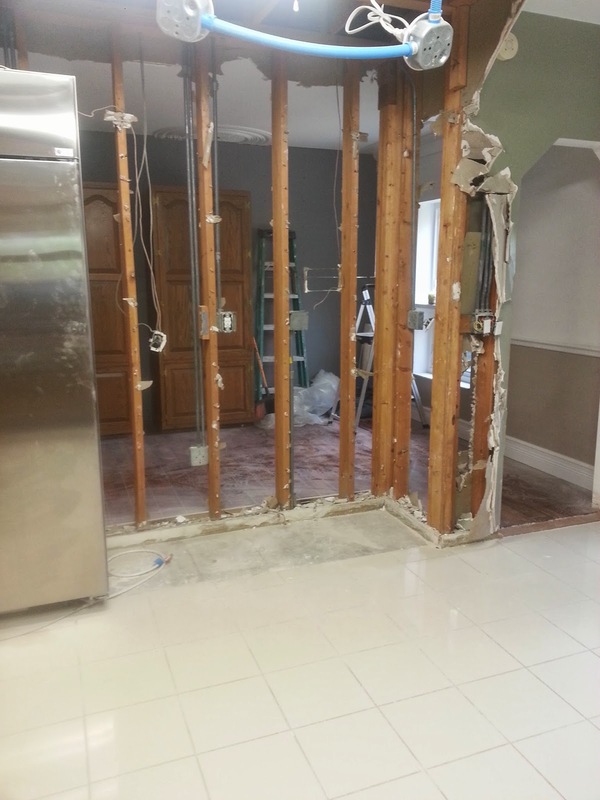 Since he has to move the plumbing around, demolish the walls and then put up new ones. I am hoping I won't need new electric work done. Slowly but surely my DREAM HOME is becoming a reality. When we first moved into the new house that I nicknamed " Chateau Rebecca " and for now on will be called that the kitchen was small with NO counter space. Now it wasn't small small (14 x 14) but it was small enough that I wanted it bigger. On the other side of the kitchen was the dining room and I decided to knock down the adjoining wall , move the dining room and make a little office (6 1/2 x 14) for me. I wanted new cabinets, counters, lighting , flooring and of course appliances ,except for the fridge because I just purchased it before we moved here. Me, being a General Contractor at least in my head decided I was going to oversee everything , HA HA HA. 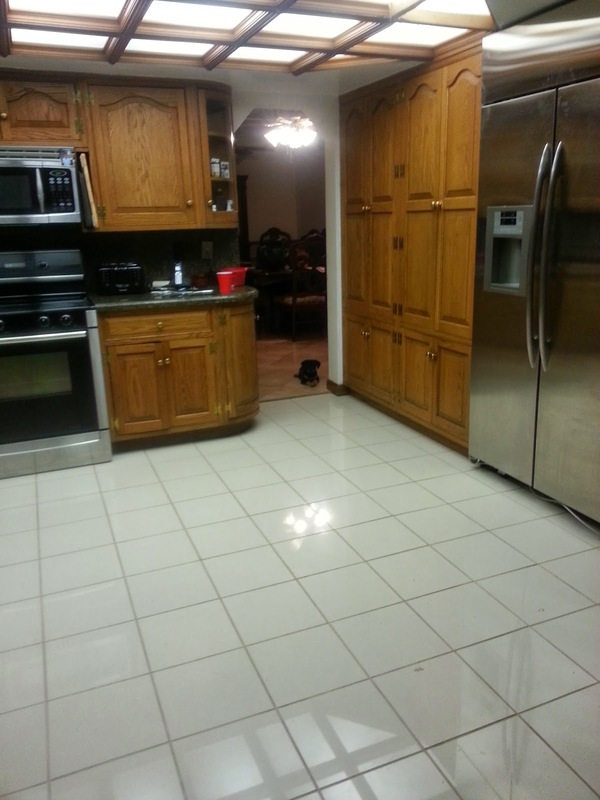 First I went and had a kitchen designed the way I wanted it with the measurements I had . I knew what color I wanted the cabinets and the island and I knew what style. Perfect that part was easy. Now picking the counter tops was way harder. I had to go to the warehouse to actually look at the slabs, the first choice I wanted didn't look the same in person. After looking for hours I choose the slabs I wanted ( since I had a ball park of the square footage) and went with a granite. 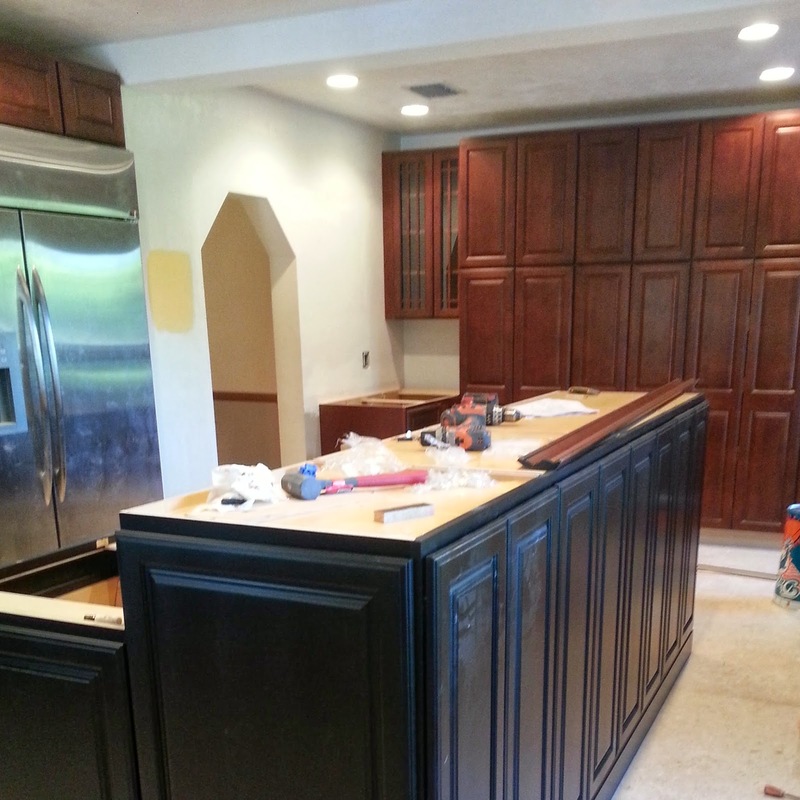 If you have ever gotten new counter tops you know that they can't be measured exactly until the actual cabinets are installed even if you have the measurements from the cabinets because they have to be precise and it takes at least 2 weeks to get them after. The contractor I hired to do the demolition warned me of the dust but geez I didn't expect it upstairs even in the attic. 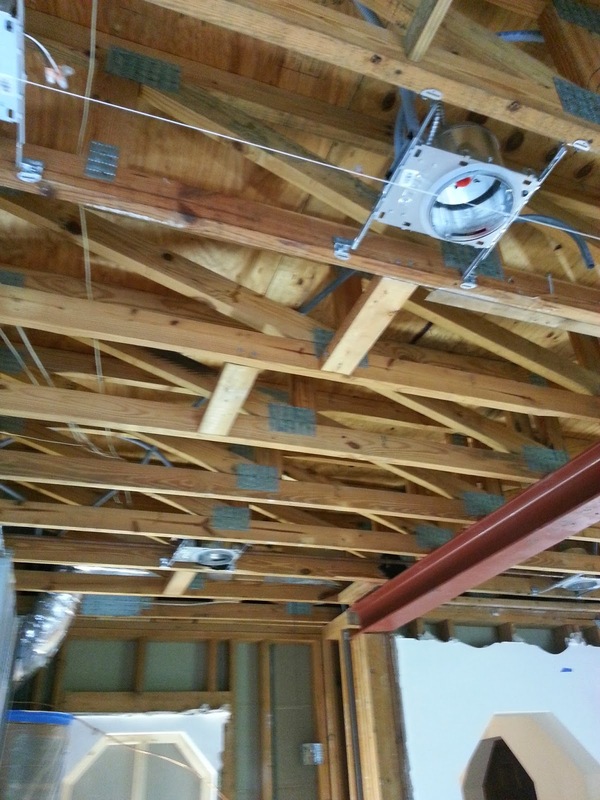 The guys knocked the wall down and since it was a load bearing wall they had to install a beam this took about 2 weeks. Then we had to stucco the ceiling and plaster my new wall. I say we because I'm paying them so " WE " had to. Once the new wall was in place and the room was ready we did a final measurement and of course the room was not the same size. 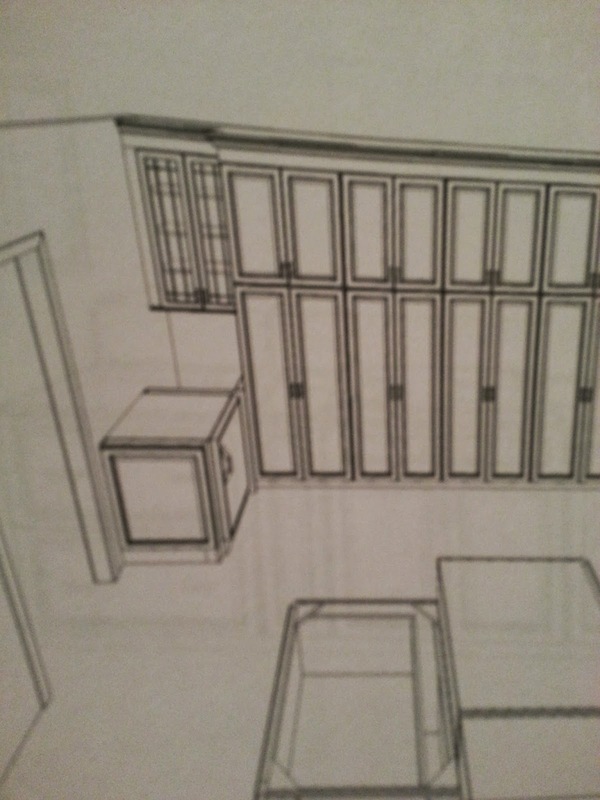 I had to now call the cabinet people and have them come out to get correct measurements and we had to pick out more pieces which added an extra week to the already 6 week time frame for the cabinets to be made. 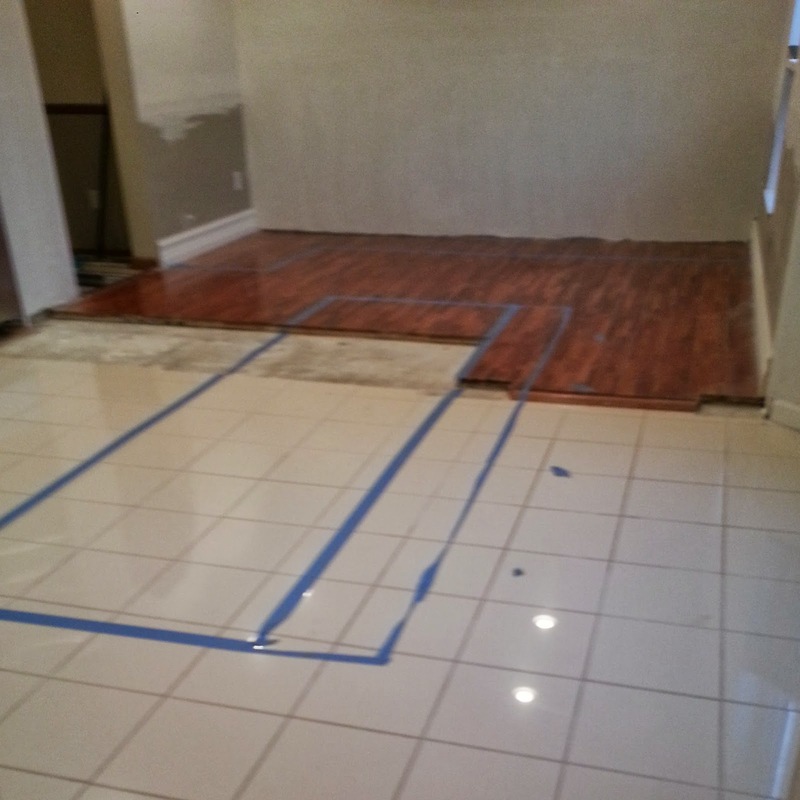 I hired another company to do the flooring in our previous house we had natural stone so I was NOT getting that here. Wouldn't you know it I got Egyptian Stone, it was just so pretty in the showroom. 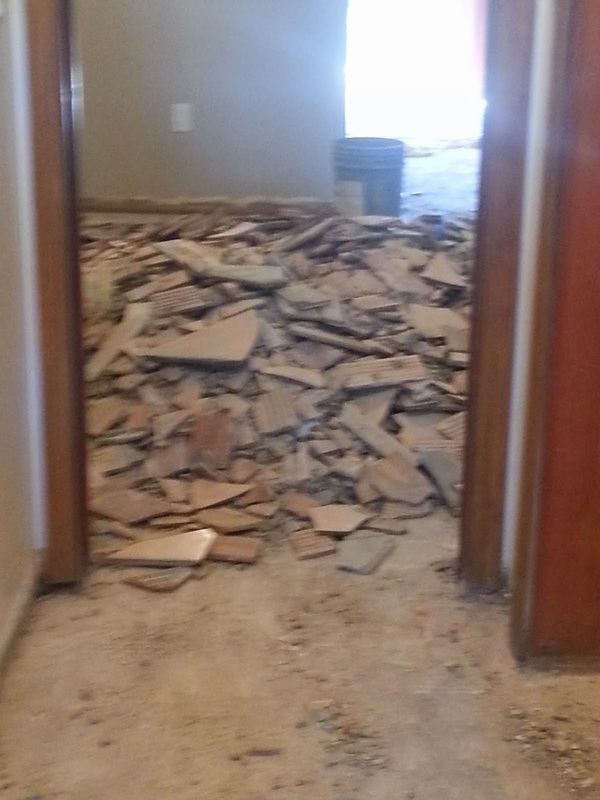 The flooring guys did the floor in 2 weeks. 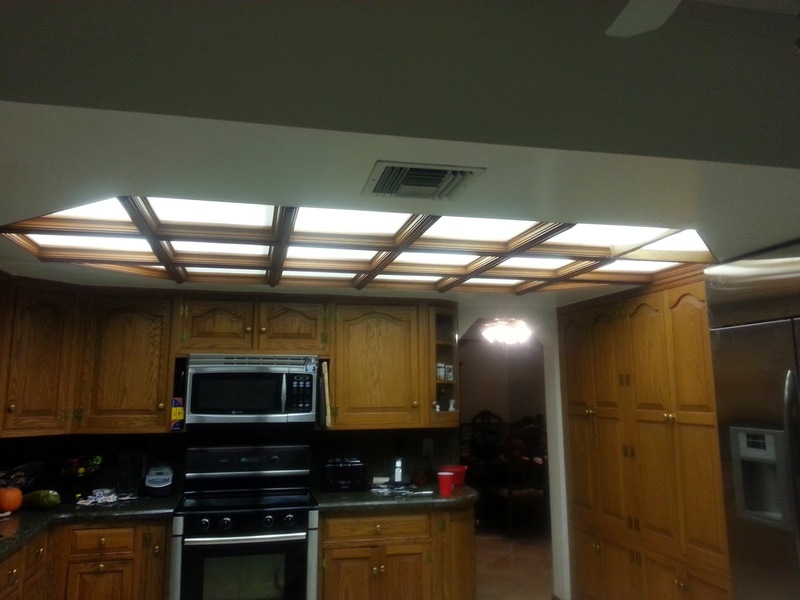 Once the floor was done the electrician had to rewire the kitchen and add some electric wiring to where the island was going because that's where the cooktop was going. He also did the new lighting. While waiting for the cabinets and granite I had the kitchen painted a yellow because that is a fun color. Did I mention all this time I had NO working kitchen, NONE you can only have so much takeout before you go crazy. 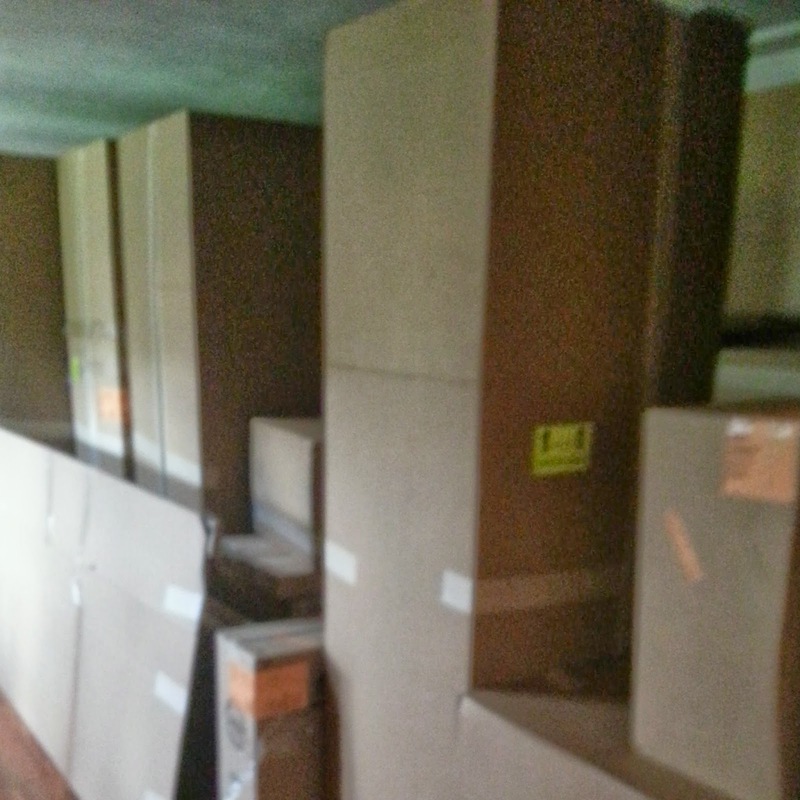 Finally I got the phone call I was waiting for the cabinets were ready to be delivered and installed. The guys came and in 1 ONE day they did it. WOOHOO I had cabinets but wait no counters .... The granite company came the next day measured with some strange out of this world device and said they would put a rush on it. While waiting we installed the new fridge, double oven, microwave and dishwasher. Oh yeah I forgot we also had to have the plumbing and air conditioning in the kitchen moved around , who would have thunk it. 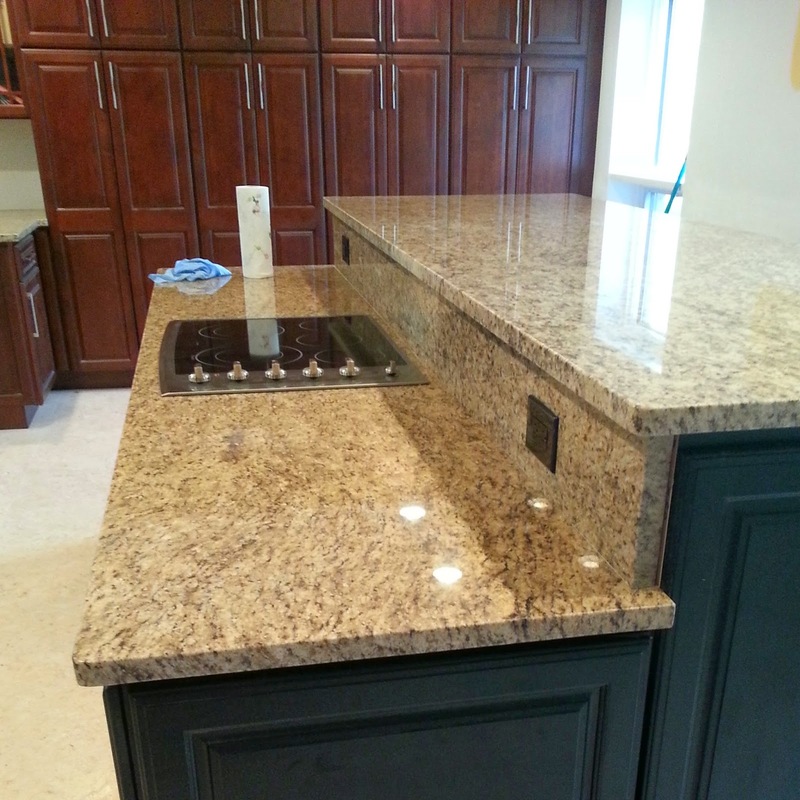 The counter people came installed the granite but first they had to cut out the pieces for the cooktop and sink. Everything looked like it was coming together finally. They left and I now had a real kitchen, cabinets , counters, appliances and it was only (insert sarcasm) 2 months later. That would be a beautiful end but this is no fairytale. I noticed one of the cabinets couldn't open all the way because of the counter top and some ridges on the counter in spots so they had to come back out remove one of the counters cut it a bit and smooth them out. Some cabinets were scratched and I paid some good money so they came back out and they installer made notes and said a few doors would need replacing (11 doors) and had to be ordered which is another 2 weeks. When they came to install them the doors were the wrong style so another 2 weeks. He finally came back to install the right ones but wouldn't you know it again these were the right style but wrong colors. 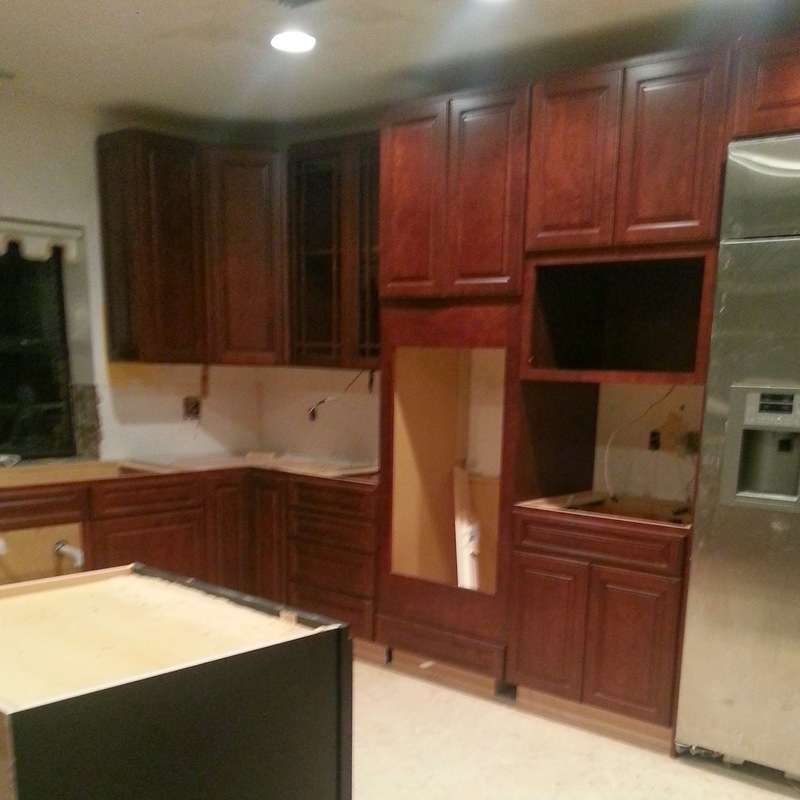 See we had the cabinets brown and the island black and they sent the opposite. So here I sit since November with a beautifully not completely finished kitchen. But hey they are coming next week to put the right doors in the right place. Where is the finished kitchen you ask ??? That is the million dollar question. Once that beautiful piece of plywood gets removed my new window will be there then I will take and post that picture. 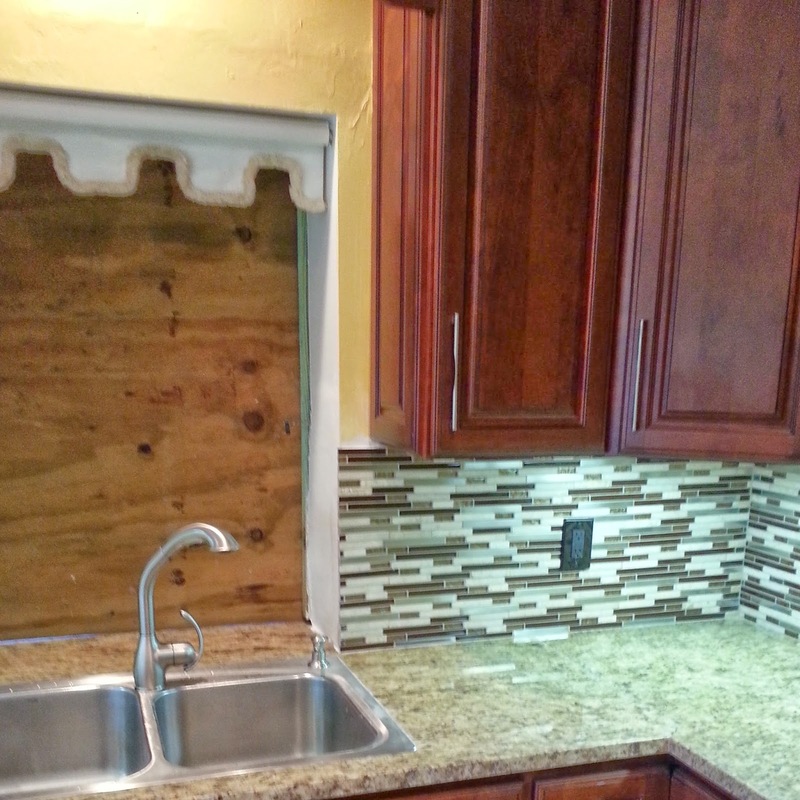 Do you have any disaster remodeling stories or are you in the process of remodeling I would love to hear ??? The last time I said hello was almost 8 months ago. One day I was just sitting there and I came up with the bright idea that I wanted to move and move right then. The kids start school in August so I had less than 2 months to find a house that I loved the kind of house that when I walked in I was HOME. 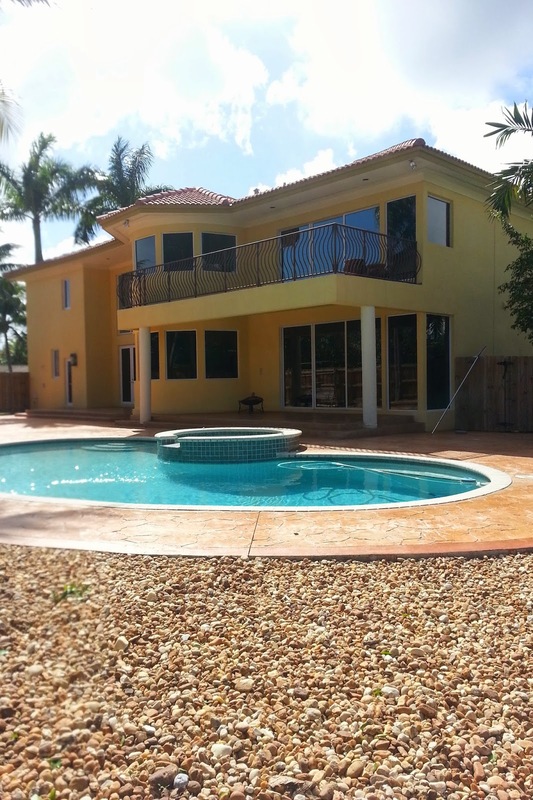 The house we lived in was perfect on the water less than 3 minutes from the beach but it never felt like HOME. I didn't have a big list or knew what I wanted really. 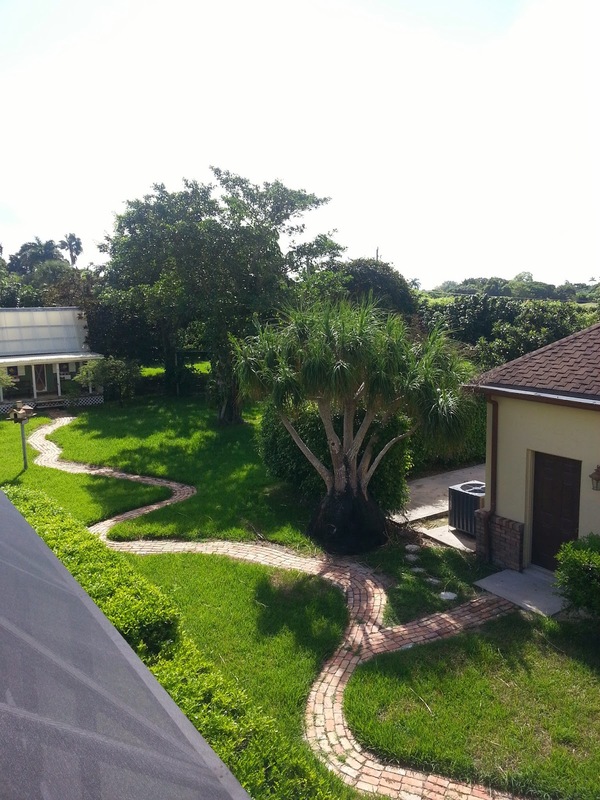 I did want a large yard over an acre, great schools, safe neighborhood and I wasn't leaving Dade County. 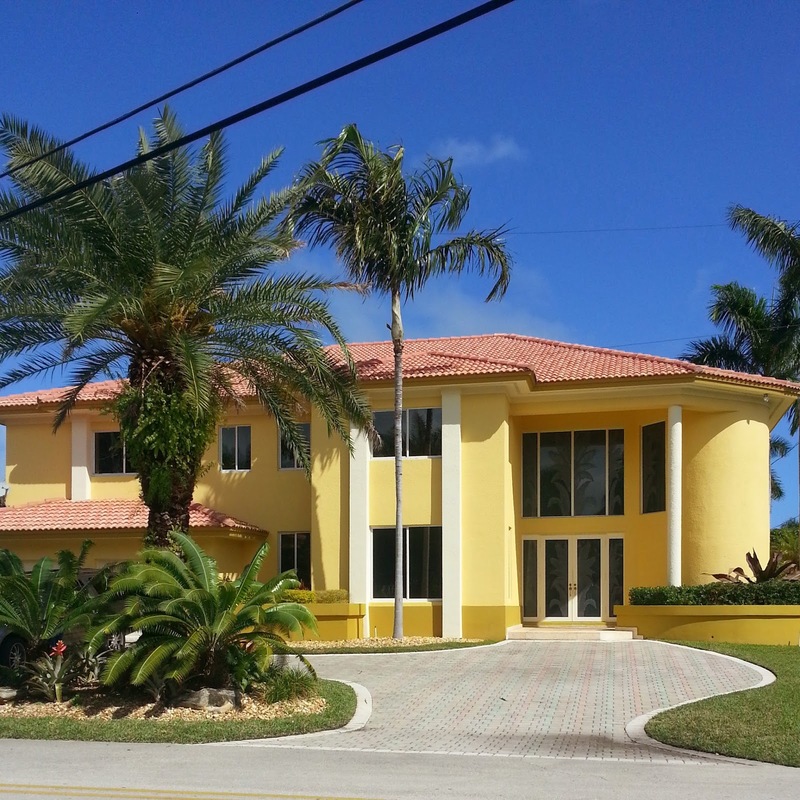 We called our realtor and went the following week to look at 5 houses he found. The first 2 were beautiful had everything that I wanted but I didn't feel HOME. Then came the third house it was not a house that I would even think about looking at but when we pulled up I felt HOME. The owners just put it on the market so they were living there. 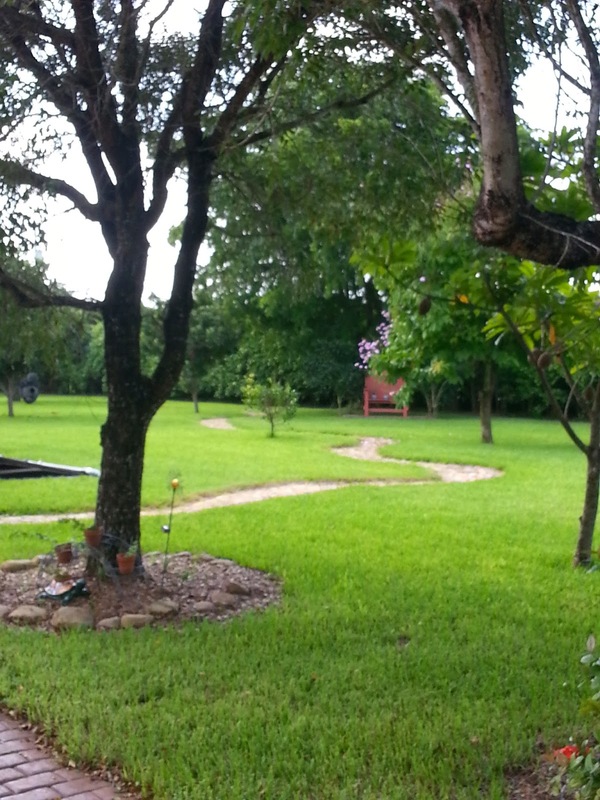 We walked around the house and it was perfect but the yard is what sealed the deal. It is 3 acres of HEAVEN literally while we were walking around the birds were singing, there were butterflies everywhere and bunnies real live bunnies hopping around. That was it we wanted that house we made an offer right then and had to get the house inspected. We had a deadline and everything had to be done quick. In less than a month we closed and had the keys to our new HOME. Everything was perfect ..... Except I didn't think that now I had to pack a 5800 square foot home and 13 years of memories call movers, painters, contractors, exterminators, roofers, landscapers, pool services, cable, lights, phone and all the other little things. I did it and by the end of August we officially moved in. The kids love their new school and have made great friends. Since moving in we have remodeled the kitchen and dining room.For over a month we had NO kitchen none and let me say you can only have so much take out. 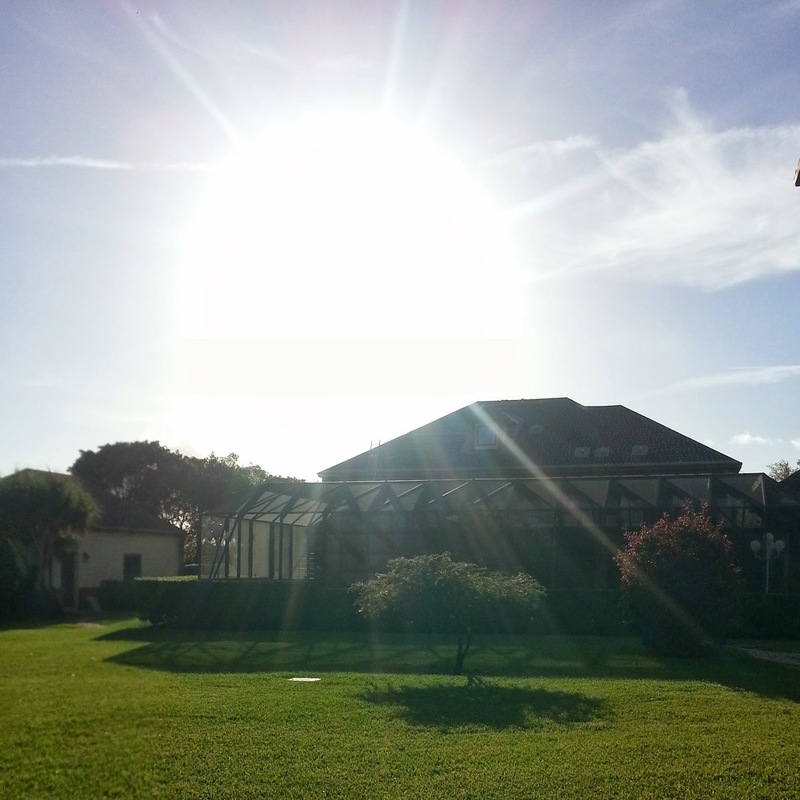 We also replaced the roof on the main house and resurfaced the pool. I still have dust from the remodeling everywhere. Now we are going to be remodeling one of the kids bathrooms, replacing the roof on the garages, barn and getting new hurricane impact windows on the entire house. I will be updating all the progress and posting lots of before and after pictures. So tell me what new and fun stuff have you been up to lately ?